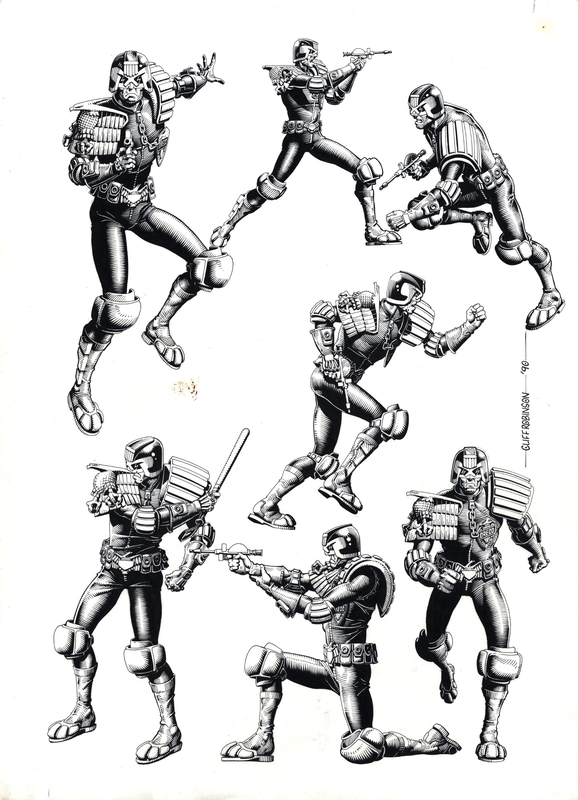 Lovely pin ups of JUDGE DREDD by fantastic 2000ad artist cliff robinson. These were published in 1990 by Fleetway (2000ad's owner at the time) for licensors to use on merchandise. There were also used as spot illustrations on editorials in 2000ad and the Megazine over the years too! 7 awesome images of Dredd dispensing justice!